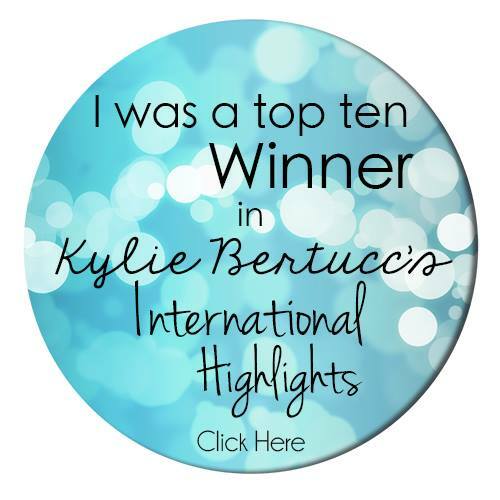 Did you enjoy Saturdays blog hop? Weren't the projects fabulous? 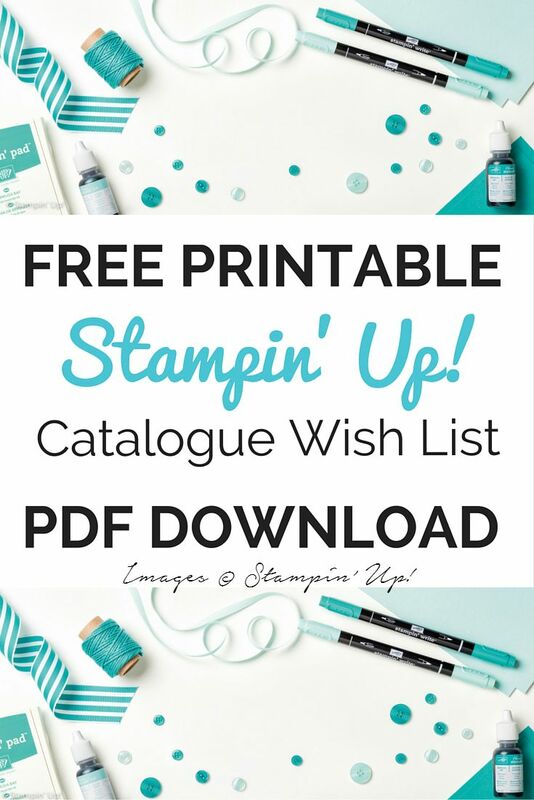 I love seeing how different people use the Stampin' Up! products - everyone is so creative and has their own unique style. 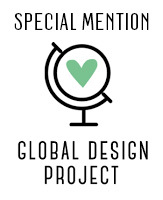 From seeing these projects, I've added a few items to my next order, just don't tell my husband! 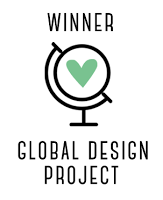 This project that I am showcasing today I made just for fun. I love the Kraft paper look at Christmas. I usually wrap Christmas presents in brown paper and decorate them with ribbon and handmade gift tags. Each years look is slightly different and this year I am going to start early. Last year didn't quite go to plan and for the first time in ages I had to use shop bought tags!! I know there's no harm in that and I don't think for one minute that my family even noticed, but I like to be individual so I did feel like I was cheating a bit. 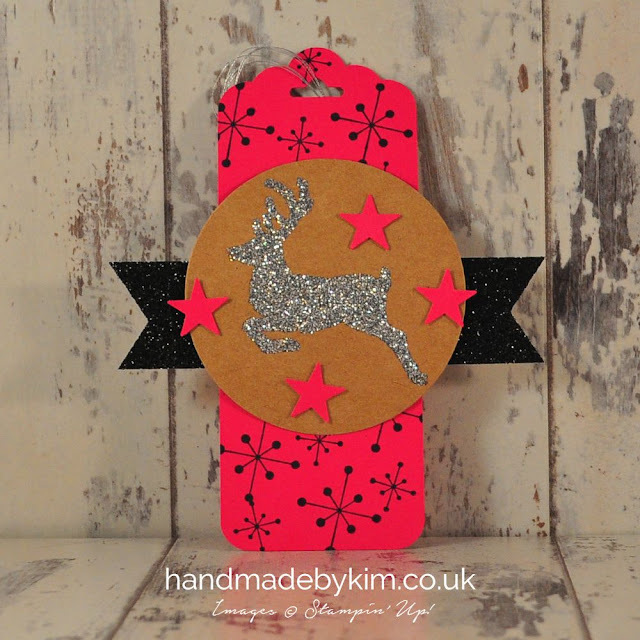 I started making this gift tag by stamping the reindeer from the Jolly Christmas stamp set in Versamark ink onto Kraft cardstock. I then sprinkled over Heat & Stick Powder, tapping off the excess and putting this back into the pot. By heating the powder with a heat gun it becomes sticky, so you need to quickly sprinkle over the Stampin' Glitter before it dries. Tap off any glitter that doesn't stick to the powder and put this back into the pot. To set the glitter in place, you neec to heat it one more time with the the heat gun. I love this effect and I certainly want to include this look into this years Christmas cards! 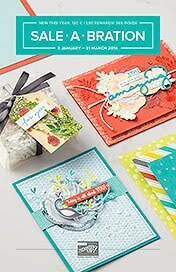 I don't have a design created yet but after another month of crafting with these fab products from the new Stampin' Up! 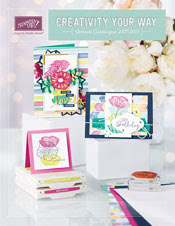 Autumn Winter Catalogue, I'll try and incorporate all of my favourite looks into either one or several different designs. 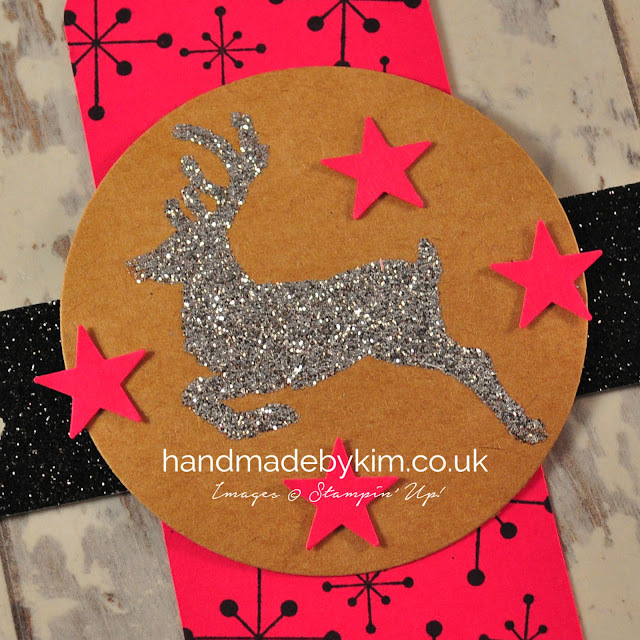 To finish making the tag, I used one of the Circles Collections Framelits Dies to cut out the reindeer but I wasn't sure what to do with it next.... after some pondering I decided to have some fun and pair it with a really bright colour for a modern look. 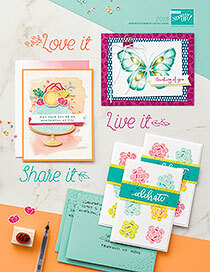 I chose Melon Mambo - doesn't it look amazing against the Kraft cardstock? I cut the tag and stamped stars from the Jolly Greetings stamp set in Black Archival ink. 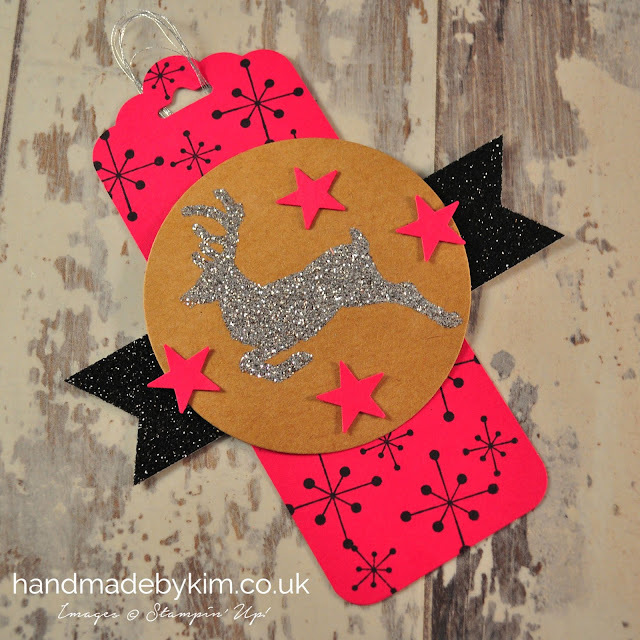 I added a Black Glimmer Banner and used Stampin' Dimensionals to add the Kraft cardstock to the tag. It looked like it needed something else which I why I added the Melon Mambo stars punched using one of the punches from the Itty Bitty Accents set. Okay so this is not my usual look but like I said this was just for fun! Do you ever craft outside of your comfort zone? Now back to my comfort zone.....starting from Wednesday I have 7 projects using the gorgeous Timeless Elegance DSP that I can't wait to show you. 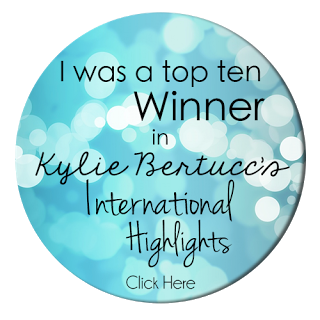 If you don't subscribe - I blog 3 times a week on Mondays, Wednesdays & Saturdays - see you then!